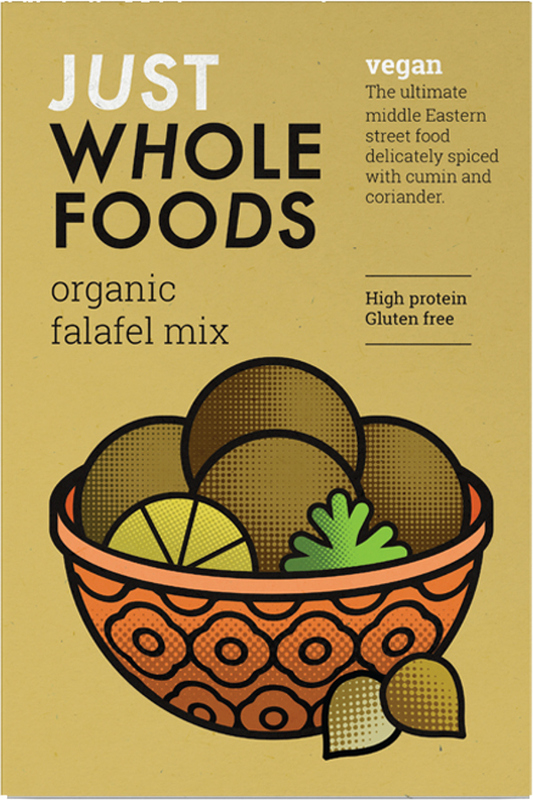 This Falafel Mix from Just Wholefoods means you can whip up your own tasty, organic, wheat free falafel no problem at all. Vegan friendly. 120g. kibbled chickpeas*, brown rice flour*, onion*, spices (ground cumin*, ground coriander*, ground black pepper*), parsley*, sea salt, garlic powder*. 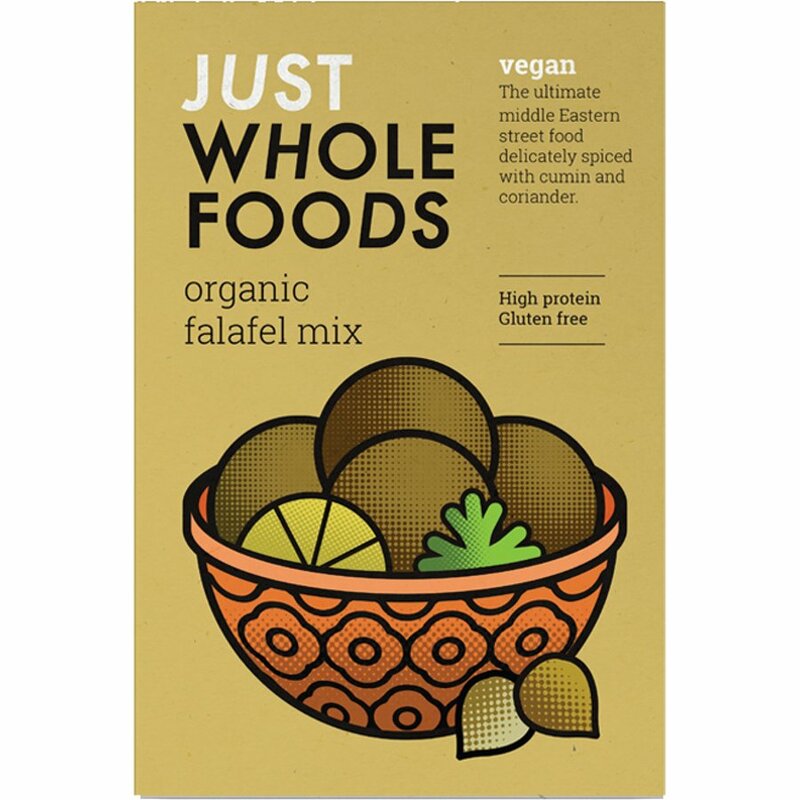 The Just Wholefoods Organic Falafel Mix - 120g product ethics are indicated below. To learn more about these product ethics and to see related products, follow the links below. Very easy to make, mixture fluffs up and is moulded into balls easily. Tastes gorgeous and keeps for up to 3 days in an airtight container. Brilliant product. When i made the first batch of these, I just followed the instructions and i found that they didn't stay together well. I added some sun-dried tomato puree to the second batch and I enjoyed those more. Q: How many does this serve?